Actor – As impressive as Ji Sung was in Kill Me, Heal Me a few years ago, I actually think his performance as the falesely imprisoned prosecutor, Park Jeong Woo, in Defendant was even better than him playing seven different personalities. Watching him act in this drama was complete revelation into just how much range he has as an actor. This is the type of role that requires complete emotional, physical, and mental dedication, and Ji Sung did it. He didn’t have the luxury of a glamorous wardrobe or setting in Defendant (4 prisons wall, all…da…time), so it really came down to his acting. And boy, did he deliver. It pained me as a viewer to see his character in so much hurt and anguish all the time, so I can’t even begin to imagine how difficult it must have been to embody that role and character for weeks. Ji Sung knew when it was appropriate to emote and when to pull back. 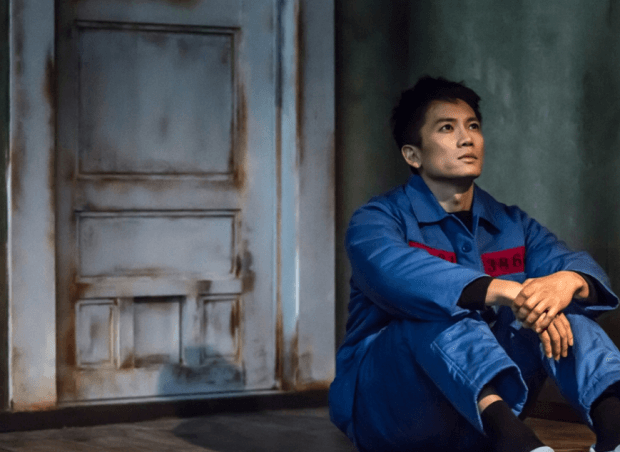 His performance in Defendant never came across as artificial or overly melodramatic, which in and of itself is an impressive skill to have as a drama actor. He already showed viewers that he is an actor who is capable of switching roles and characters at the drop of a hat, but Defendant further proved that he can take over an entire drama with just his nuanced acting. I loved the drama for its twists and turns, but it would not have been nearly as successful if it did not have Ji Sung at the helm. Actress – To be perfectly honest, there wasn’t one particular drama performance by an actress that blew me away this year. So, instead of picking a drama actress just for the sake of picking someone, I’m going to buck tradition and pick my best actress from a movie! 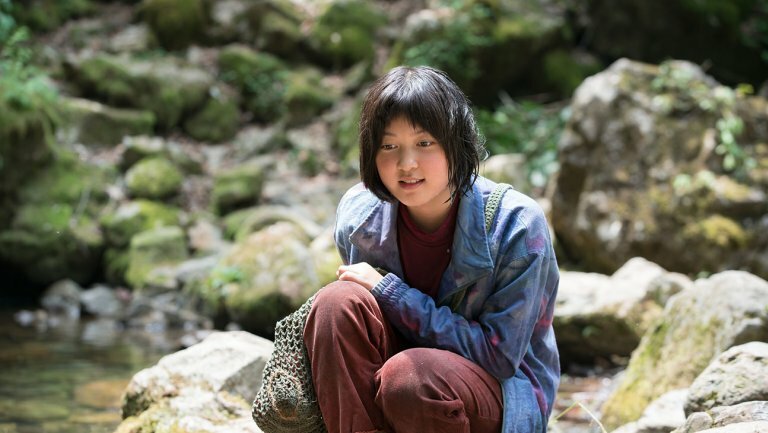 Ahn Seo Hyun‘s work as Mija in the Netflix movie, Okja, was truly a breakout performance in 2017. Despite having her her first lead role in the presence of Hollywood A-listers and veteran actors, she certainly held her own and even outshone them. Her character’s friendship with Ojka was one of the most endearing things to come out of a film in a very long time. Onscreen chemistry is difficult enough with a human costar, but Ahn was able to achieve that with just a CGI pig. Her natural style of acting allowed her to succeed in showcasing Mija’s vulnerability and resilience without ever seeming disingenuous. Ahn Seo Hyun may not be a household name yet, but I expect great things to come from her in the future. Her star turn in Okja is a very good indication of how great of an actress she can become. Actor – This is a tough choice, so this one will have to be a tie between Park Seo Joon and Park Hyung Sik. Both of them have demonstrated something beyond their normal range. I’ve always just known Park Hyung Sik as a pretty boy, but he definitely showed me that he can act! He was wonderfully charming in Strong Woman Do Bong Soon, and made the romance between him Park Bo Young incredibly believable. His delivery was spot on; his lines sounded naturally and made his character’s random infatuation with Do Bong Soon seem absolutely normal. He was just adorable, ok? I thoroughly enjoyed him in this show. As for Park Seo Joon, I last saw him in She Was Pretty where he played someone very cold and aloof, and I felt his performance was very flat, especially in comparison to Choi Siwon. In Fight My Way he completely overthrew my previous impression of him. He was not afraid to “tarnish” his usual image to play a character who is very “average.” He portrayed his character really well, full of heart, every bit more exciting and lovable than the previous. Actress – Last year I picked Kim Go Eun as the actress of the year, and I’m going to give it to her again. Why? Simply because she was great in Goblin. She made a ghost-seeing teenager’s life somehow normal, and the world of Goblin believable. From her naiveness in the beginning to her heartbreak towards the end, Kim Go Eun did a fantastic job of becoming the glue that binds everyone together. Which actors and actresses mesmerized and impressed you with their performances this year? Were they old favorites or someone new? And stay tuned tomorrow for… Best Underrated Gem! Yoon Shi Yoon and Lee Hyun Woo both came to my attention this year. I adored The Best Hit and Lovely Love Lie and have had to check out their other dramas as a result. Nam Joo Hyuk too, though I ended up finding his most recent drama a disappointment it was through no fault of his own. Not sure about actresses. Maybe Zhou Yu Tong from Cambrian Period. She played a wacky but endearing character and I’d be interested in seeing her again. Honestly, I probably loved Suzy in While You Were Sleeping the best. Like Yoon Eun Hye, I love her most when she’s cute and silly in a romantic comedy rather than trying to be serious 100% of the time.